The medical community has advanced in leaps and bounds thanks to the presence of lasers. These clever devices are employed to treat a plethora of skin conditions and one of their most common purposes is to remove excess hair from the body. Not only is this a quick and effective procedure, but it is able to provide lasting effects. Still, many patients are curious to know how long it will take to notice results after the initial process has been undertaken. Let us take a look at what the experts have to say. In the majority of cases, small hairs within the affected area will begin to grow back between one week and one month after the initial treatment. However, it is important to note here that these are not new hairs. This is instead the result of the existing (and damaged) follicles removing themselves from your skin. It is still permissible to shave and to perform other body care tasks during this time. Body hair follicles grow at different rates. This is the reason why more than a single laser hair removal treatment will often be necessary to produce permanent results. 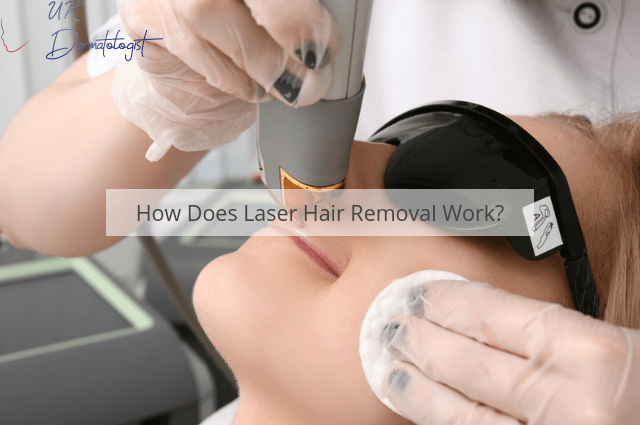 In other words, lasers are only able to target the hairs when they are in what is known as a growth phase, also known as anlagen phase. This will also depend upon the area of the body associated with the removal. Most experts observe that between four and seven treatment sessions will be required before more long lasting results are witnessed. Back-to-back treatments are not possible. Patients will normally be required to wait between three and six weeks for each successive session. This will also be determined by one of our expert laser therapists or dermatologists. In other words, you can expect to enjoy noticeable results within a few months of the initial treatment. This could also depend upon the total size of the area that you wish to address. Laser hair removal is one of the best and most effective ways to permanently remove excess hair from your body. It also enables you to avoid somewhat painful (and impermanent) techniques such as shaving and waxing. Anyone who is interested to learn more should contact a specialist at UK Dermatologist we will be happy to discuss the process with you in greater detail. Previous PostPrevious Do I Have Rosacea or Seborrheic Dermatitis? Next PostNext What Is MOHS Surgery Used For?